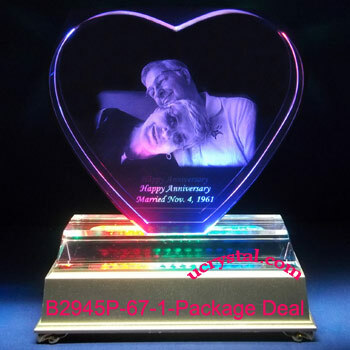 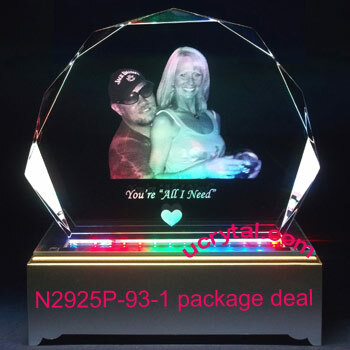 Extra large, heart, straight edge with base plus light base with 15 multi-color LED, model no. LB15M-69-1. 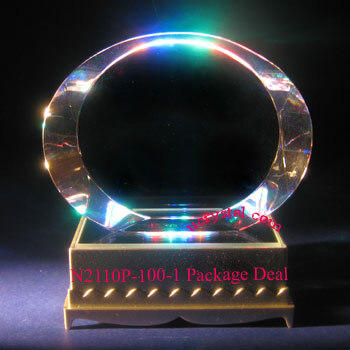 Crystal size: 6" length x 2-1/2 width" x 2" height. 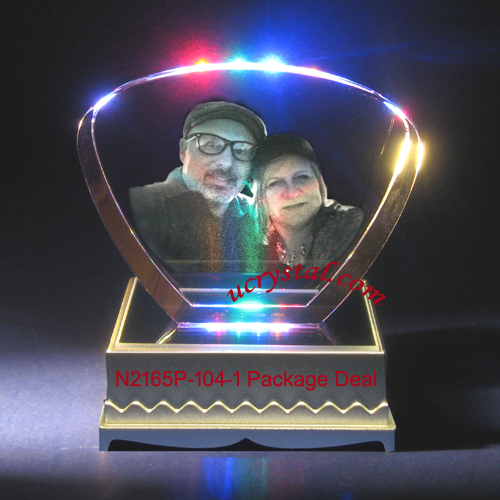 Complimentary gift box included. 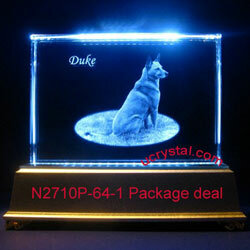 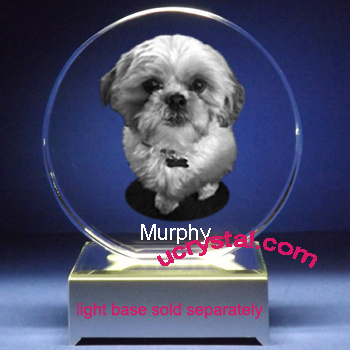 Light base detail can be found at "Crystal Engraving Light Base" section.